To fulfill her passionate commitment to education, Wharton student Cindy Dexin Liu, WG’18, GED’18, worked with administrators, faculty, and mentors to become the first graduate of a new MBA/MSEd offered with Penn’s Graduate School of Education. 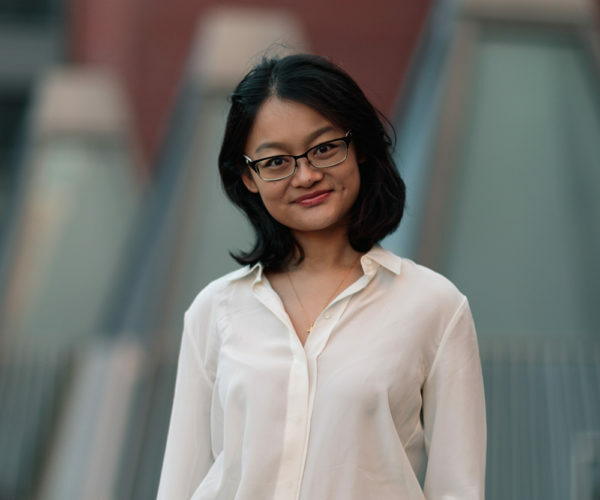 Cindy Dexin Liu came to Wharton with a big goal. She wanted to create a global network of schools that focus on purpose-driven, personalized learning. While at Wharton, she learned about Penn Graduate School of Education’s new program in Education Entrepreneurship, launched in 2014. Cindy applied and was admitted, finishing her second year at Wharton and her MSEd degree simultaneously as the first graduate of a new dual-degree MBA/MSEd program offered by the two schools. Now four MBA/MSEd students are enrolled. The new MBA/MSEd dual-degree program is designed to help graduates create, finance, and manage innovations in complex, multidisciplinary educational environments. After one year at Wharton, students begin 13 months of classes in GSE’s executive-format program concurrent with their second year at Wharton. Graduates may enter fields including building education technology ventures, designing schools, scaling social impact initiatives, and leading innovation in educational organizations and corporations. Each student produces a capstone project, which involves researching, prototyping, testing, and iterating on an education program, service, application, or other product. By using resources of both Wharton and GSE, Cindy turned her capstone project turned into a new school, the first step in her long-term goal to transform education. Cindy cited benefits from the combined Wharton and GSE program that helped her realize her goals. Cindy has developed close relationships with both Wharton classmates (especially in the Semester in San Francisco). She credits Wharton classmate Christian Villaran, WG’18, as one of her most trusted resources. In addition, Cindy had a strong cohort of Education Entrepreneurship classmates — educational practitioners from London, Dubai, Vietnam, China and around the world — to lean on for firsthand advice about educational systems and practices. Because the MSEd is executive format, the classes meet one weekend a month, while Wharton classes take place Monday through Thursday, allowing both programs to run concurrently. Because Cindy’s Entrepreneurial Management major in the MBA program had prepared her on the business side, she doubled up on Education classes. With the new dual-degree pathway, Wharton students can use their electives and transfer credits to cover 60-70% of the tuition for the Education Entrepreneurship program. Mentors are an element of the Education Entrepreneurship program that have helped Cindy integrate and apply knowledge across the two programs. “One of my mentors in Education Entrepreneurship is Christian Talbot, the founder of Basecamp School and an experienced head of school in innovative private schools. He’s been very responsive whenever I bug him, so I’m really grateful,” she said. Read more about how Cindy used the resources of Wharton’s Semester in San Francisco to help launch a new school.